The features of modern warehouse management, we put forward a warehouse management system (WMS) based on Radio Frequency Identification (RFID) and probe into the structure and operation flow of the system. The WMS adopts RFID middleware as the support platform, covers goods entry, picking, checking, delivery and many other operation flows and can collect, deliver, check and update mass data on the frequent warehouse entry and delivery, so as to decrease the labor intensity, avoid fault scanning, miss scanning, re-scanning and other artificial errors and improve the efficiency and accuracy. The WMS based on RFID will help to improve the efficiency of warehouse management and make rapid self-recording of receiving and delivery. Elimination of re-labeling costs and effort. 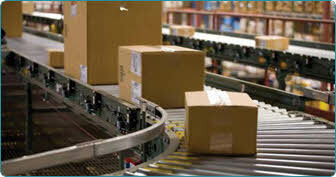 Ability to write additional or replacement information to a tag at any stage in the supply chain. All of this means that goods can be checked in and out much faster and AT A LOWER OVERALL COST THAN THAT ACHIEVED BY EXISTING SYSTEMS. For a comparison of costs associated with bar-coding and RFID systems in a typical supply chain situation. Using radio waves to track objects and provide near-real-time views of product status and location, RFID makes supply chains more efficient. RFID is the promise of receiving nearly instantaneous data that tells which products have been sold and how much remains on shelves, in warehouses and distribution centers. This information aids inventory control and distribution channel management and reduces costs. 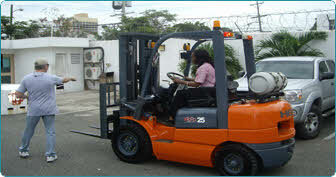 For example, take the scenario where a forklift picks up a pallet loaded with several dozen cartons of product from a warehouse. If using bar-code technology, each package on the pallet would need to have its label scanned manually to track what's being moved. RFID technology would enable the same tracking by installing an RFID scanner in the doorway (much like your toll booth with Fast Lane) that registers what's in the load when the forklift drives through. The scanner simply reads the signals of tags within radio transmission range. No human effort is required to track the load, except to drive it through. Receiving Cross docking Putaway Inventory control and stock location management Picking Sortation and conveying Shipping Asset management Physical control and security.